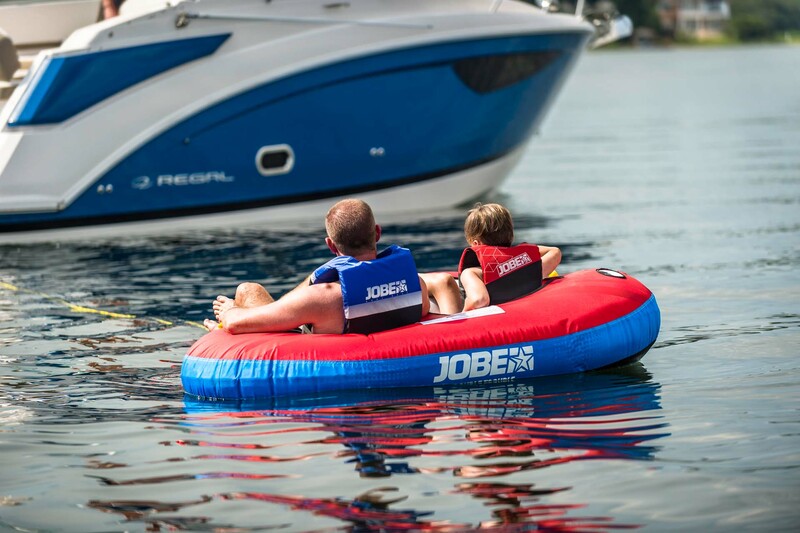 2018 JOBE DOUBLE TROUBLE 2 PERSON | Sell Fun – New and Used Boat Sales, Jet skis, buggies, speed boats – new and used! Sell Fun – New and Used Boat Sales, Jet skis, buggies, speed boats – new and used! Double Trouble but twice the fun. Double trouble means two tubes in one! Inflated floors with safety chambers and 4 foam-filled handles with soft neoprene knuckle guards make help users feel safe and secure. Jobe’s double trouble is build with strong and durable 840D nylon and a 24 gauge PVC bladder and equipped with a easy one way boston valve and quick rope connector.